Another New Year is here. If you are anything like us, with the New Year came New Year’s Resolutions. We really hope you are reading this because one of yours was to finally cross tandem skydiving off your bucket list! We know you’ve got tons consider as you prepare for your first time skydiving, and we are here to help. Naturally, like with any trip, as you begin to plan for your first time skydiving, you have to take cost into consideration. After all, when it comes to skydiving, quality doesn’t have to be expensive, but it is priceless. You’re not willing to settle for anything less than exceptional. Neither are we. So, just how much is skydiving at Skydive Monroe going to cost you? This answer is not as much as you’d think. In part, the cost of your first time skydiving is dependent upon what type of experience you would like for your first time skydiving. Are you looking to relax a bit and let a professional handle the hard stuff? Or are you the type that wants a bit more responsibility? When it comes to skydiving, there’s no one size fits all. This is why we provide different options for your first time skydiving: tandem skydiving and solo skydiving. Generally speaking, someone who has never experienced the thrill of freefall before would be best suited to first make a tandem skydive. For $198, individuals can experience all the excitement of tandem skydiving without all the responsibility. 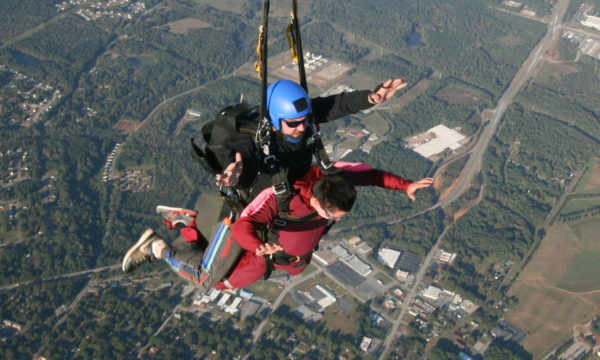 At Skydive Monroe, we also offer discounted rates for tandem skydiving. We strive to give back to those who have served our country, and we are pleased to offer discounts for military personnel. Tandem Skydives for military personnel with ID cost $160. We also remember what it was like to penny pinch and live almost solely on ramen while in college, and we offer a student discount as well. Tandem skydives for students with ID are $160. Conversely, there are those wild, brave few who would rather “take their life into their own hands” by choosing to make a solo skydive for their first time skydiving. 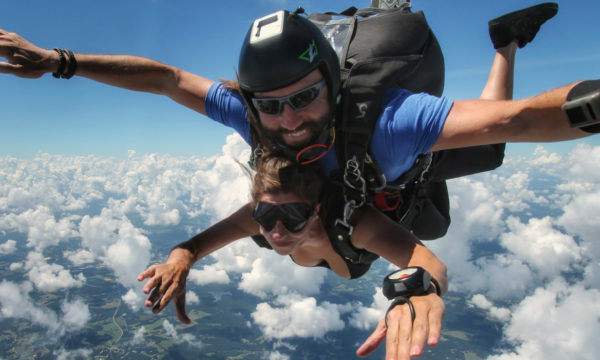 Included in the price of $279 is both the Accelerated Free Fall First Jump Course and a skydive. For $279, jumpers who register for the first jump course, will get 6 hours of classroom training and their level one jump in the afternoon. The price of $279 is an all-inclusive cost which covers training, equipment, and the slots for you and your instructors on the aircraft. For individuals that are ready and willing to make not one but three skydives, Skydive Monroe also offers a 3 jump AFF package with ground school for $574. At Skydive Monroe, there are none. When you ask how much is skydiving, the price we quote is the price it costs. But not all facilities are created equal. For tandem skydiving at Skydive Monroe, you will not be charged any additional amount for gear rental, packing fees, or lift tickets. All of these are covered in the cost of your tandem skydive. Take a word of advice from us: if any of those things are being added on as additional costs, it’s a big red flag! Please, don’t be fooled. 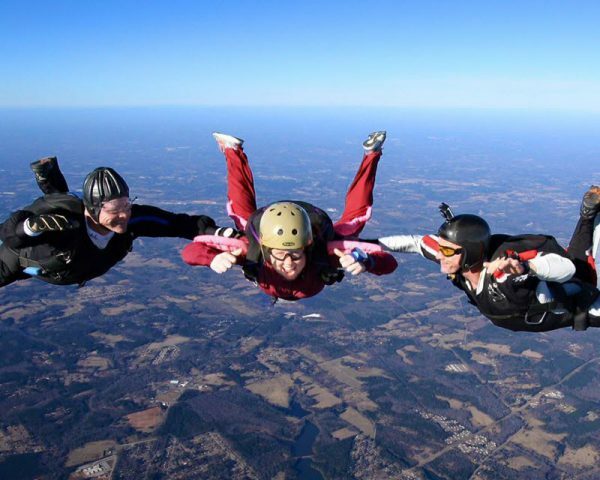 At any reputable skydiving facility, including Skydive Monroe, the cost of your tandem skydive is all inclusive. So, are you ready to keep your word and make this year the one where you actually go through with it? Schedule your skydive with Skydive Monroe today!